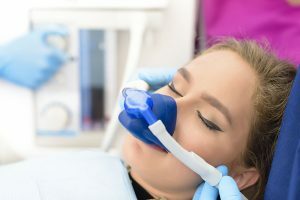 Nitrous oxide is a very safe form of sedation, and as such it has been commonly used to perform specific dental treatments. It is inhaled and the effects start within a few seconds. 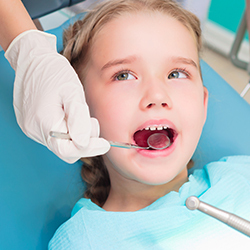 This method of safe sedation can be adjusted quickly if a patient is too light or too deep. Additionally, after only a few minutes without the gas, it is safe to drive home in most cases. It has very few side effects and hardly any effects on the kidneys, liver, brain, and other organs. Nitrous oxide makes many people feel happy and warm. It causes a lot of people to laugh so it is often called laughing gas. It is also appropriate for sedation when a person becomes nervous at the dentist. Finally, it serves as an excellent pain reliever. All this being established, Not many dentists use nitrous oxide analgesia anymore. We would be glad to use it if you are extremely nervous or you need some pain relief during your procedure. 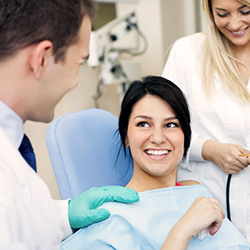 Our goal is to keep you as relaxed as possible, no matter what procedure that we are performing. That is just one more way that we do our best to set ourselves apart from other local dentists here at our dental spa! Request your Newark dentist appointment with Christiana Dental Spa today!